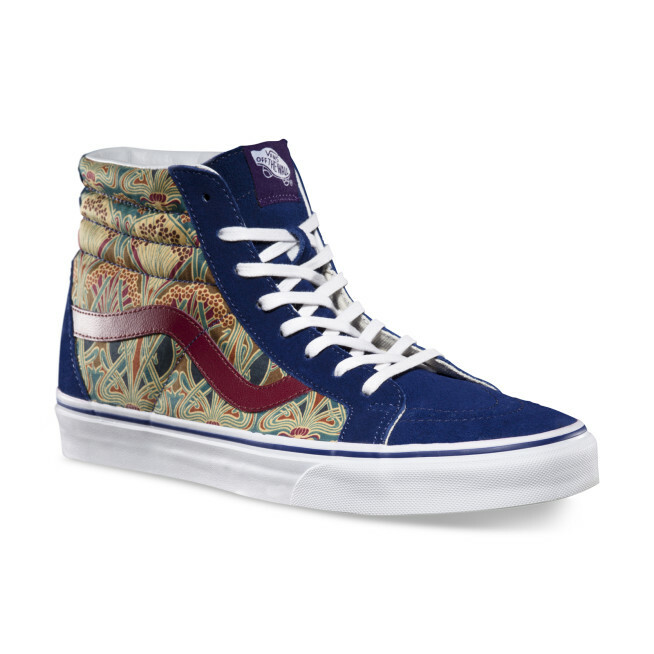 Vans Mens Liberty Sk8-Hi Reissue. Limited Vans and Liberty Art Fabrics have collaborated on a collection capsule showcasing Vans styles and Liberty art fabrics. 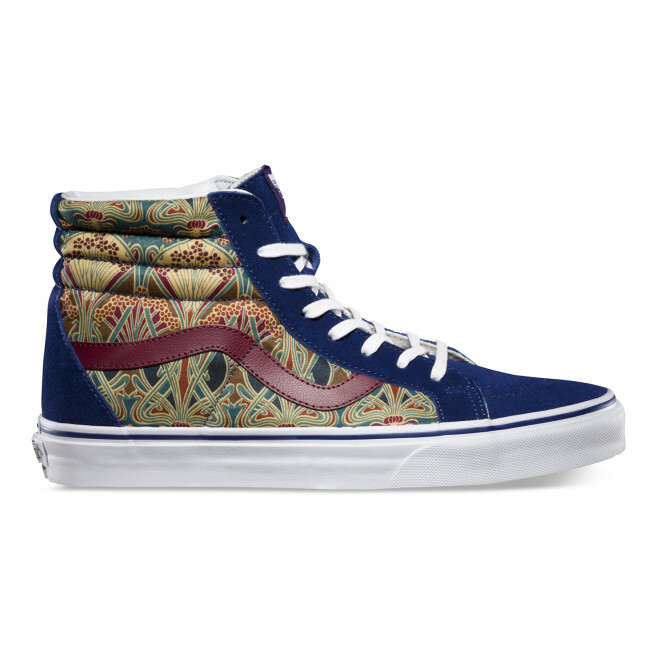 The Sk8-Hi Reissue has a high-cut silhouette in a Liberty Art Fabric, and vulcanized Waffle Outsole.